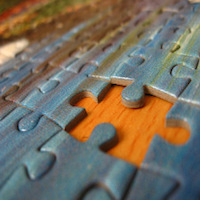 ← Why does Sam Harris’ "Moral Landscape" have the word "moral" in it? Hume is essentially asking, “given knowledge of the way the universe is, in what sense can we say it ought to be different?” (2) It is with that in mind that he “notes that many writers make claims about what ought to be on the basis of statements about what is” (ibid). Some turn Hume’s quote into “Hume’s Law” or “Hume’s Guillotine” (as it completely severs ‘is’ from ‘ought’): “no ethical or indeed evaluative conclusion whatsoever may be validly inferred from any set of purely factual premises” (7) or “you cannot derive an ‘ought’ from an ‘is’”. Premise: This is (not) so/done. Conclusion: This ought (not) to be so/done. 3) “natural selection” is how things ought to be ‘because’ it is how things are in nature. Hume is not so much talking about whether or not those oughts are really ‘justified’. More than that, he is talking about whether or not they are “real” or “true” in order to be known. To put it more basically, “(Can) any moral statement be literally true, and hence potentially knowable?” (6). This is the ultimate concern in Hume’s thinking here. It should be noted before going any further that, though Hume does acknowledge that the ought-propositions, fallaciously derived from God’s existence, come ‘after’ the writer “has established the being of a God,” Hume would not have granted that God’s existence is part of “how the universe is” (or how reality is). He was an atheist. Some atheists who agree the is-ought fallacy is a real fallacy will counter theists (who also agree, but use the Guillotine to attack naturalist ethical theories) simply by stating that Hume was an atheist and that the is-ought fallacy does not lead to a theistic conclusion, but actually critiques it. Others will just deny that the is-ought fallacy is a real fallacy in order to neutralize challenges to the validity of their moral judgments which do not “mind the gap” between ‘is so’ and ‘ought to be’. For example, challenging the fact-value distinction, Ruth Ann Putnam has argued “even the most ‘scientific’ of disciplines are affected by the ‘values’ of the men and women who research and practice the vocation” (9). Granted, but that is something to watch out for when it comes to remaining as objective as possible, rather than an argument against the distinction. And it does not mean they necessarily have reasoned, or that it would be okay for them to reason, from “ought” (or value) to “is” (or fact) (the reverse is-ought fallacy). Pointing out that the distinction has been violated in the past is no argument against maintaining the distinction. Given that the is-ought problem is fallacious, of what sort of fallacy does it consist? Those who equate the is-ought fallacy with the fallacy named “appeal to nature” (10) consider it 1) a kind of formal, deductive “fallacy of accident” (also called destroying the exception, because evidence to the contrary is not admitted), 2) a kind of informal “appeal to tradition” which is a type of genetic fallacy, a fallacy of relevance, 3) an example of informally “begging the question” because of an unproved hidden co-premise (as in “He is a person and persons shouldn’t torture other beings” below, and any other “evaluative premise” which could take its place), or of 4) formal “circular reasoning” because the conclusion (what ought to be) is assumed in the premises (what is). “The is-ought fallacy occurs when a conclusion expressing ‘what ought to be so’ is inferred from premises expressing only what ‘is’ so” (4). He is torturing the cat. So, he shouldn’t do that. First, it should be easy to see that inserting an evaluative sentence does not mean one can then go ahead and infer an ought from an is. That isn’t what is happening. The ought is not inferred from an is, but from an evaluative statement which is not inferred, but merely inserted or assumed. This leaves unexplained ‘why’ persons shouldn’t torture other beings, instead taking it as a given and going from formally arguing in a circle (without the evaluative premise), to informally begging the question (with the evaluative premise). “The question immediately arises, ‘How might we justify these evaluative premises or principles?’” (1). One might say the question actually ‘remains’ rather than ‘immediately arises’, however, a belief’s being justified (the newly arising question) is different from a belief’s being true (Hume’s question). Both questions are important: the belief (premise/principle) needs to be ‘both’ justified ‘and’ true if it is to also count as moral knowledge (the ultimate concern in Hume’s thinking). Some say that, given you cannot get an ought from an is, and applying Hume’s Fork (problem of induction), oughts rely on neither “logic and definitions, or…observation” (2) and so can be neither ‘conclusive’ (preferred by Hume’s Fork) or ‘probable’ (this is an area I would love and sorely need to study further). Mortimer J. Adler considers the is-ought fallacy “an analogue or special form of the modal fallacy. … It is logically invalid in reasoning to infer a necessary conclusion from premises that are contingent in their modality, or to assign contingency to a conclusion that is inferred from premises that are necessary in their modality. It is similarly and just as obviously fallacious to draw an ought-conclusion from premises that consist entirely of is-statements; for the difference in logical type between descriptive and normative propositions is as great as, if not greater than, the difference in modality between two descriptive propositions” (8). Similarly, the difference between descriptive and normative propositions is the difference between correspondence (ontology/metaphysics) and justification (epistemology). A known belief “is” true (correspondence) and “ought” to be believed (justification). This goes back to Plato’s “justified true belief” requirement for knowledge. Truth is either/or, while belief can vary in degrees depending on the strength of justification. All that is required for knowledge is that a belief be ‘both’ true ‘and’ justified (enough to be believed above 50%) by logic and definitions, observations, direct reason, intellect or intuition—whatever reasons we “ought” to believe the conclusion “is”. To say that a belief’s being true or false makes it justified 100% or 0% (respectively) commits the is-ought fallacy, and to say that a belief’s feeling justified (say, 86%) makes it (86%) true commits the ought-is fallacy. Although truth is 100%, justification only needs to be above 50%, and we must have them both independently of eachother in order to ‘know’. Translating from epistemology back over to ethics, there needs to be a real ought in order for there to be moral knowledge, but 1) the real ought is not justified by its correspondence to reality—that would be saying its correspondence justifies its correspondence (begging in a circle) and 2) a particular ought is not made to correspond by its justification—that would be like saying that the act of believing made something real to believe in (also begging in a circle). No, there must be “both” justification “and” correspondence. If one or both is lacking (by depending on the other, or for some other reason), knowledge is lacking. Some (anti-realists, skeptics) argue that if ‘is’ is completely severed from ‘ought’ then moral ‘truth’ (ontology, metaphysics) is completely severed from ‘justification’ (belief, epistemology) and all we can have is belief and never knowledge, because it puts truth beyond the grasp of even belief, much less knowledge. This is false. Unless we maintain the gap, we argue in a circle, we grasp at grasping and know nothing. For an in-detail analysis, see (11). As long as we mind the gap, knowledge is possible, which is evident in scientific progress. Still, John Searle tries to derive ought from is by distinguishing between two kinds of descriptive statements: brute facts and institutional facts. Institutional facts are composed of ‘constitutive’ rules which create a form of activity (chess for example) that would not exist without the rules,” (5) as opposed to ‘regulative’ rules which regulate things that would exist even without the regulations (traffic code for example). Searle says combining institutional rules (ought) and brute facts (is) will result in obligation. “As far as institutional obligations go, we can derive them only after we first collectively contrive them. Or, at least, that is all that Searle has shown” (5). The attempted solutions, first of inserting an evaluative premise, second the discussion of institutional facts, appeal to “values already possessed” (2), rather than evaluating the truthfulness of those values. Truthfulness is about correspondence. Some (2) say that the truth of an “is” statement is defined by its correspondence to reality, whereas the truth of an “ought” statement is defined by its correspondence to right desire. However, if we are talking about “real oughts” then that (granted) “right desire” should be part of reality, so that the truth of “ought” statements is, like the truth of “is” statements, determined by (though not justified by) its correspondence to reality. In other words, if an ought statement is true, there is some being in reality to which it corresponds, some being which it describes, but which does not justify the ought statement, which is justified using reasons (12). Norris, Gettier, Euthyphro, Hume and Plato: Is knowledge justified true belief? This entry was posted in Examiner.com Articles, Is-Ought Fallacy. Bookmark the permalink. 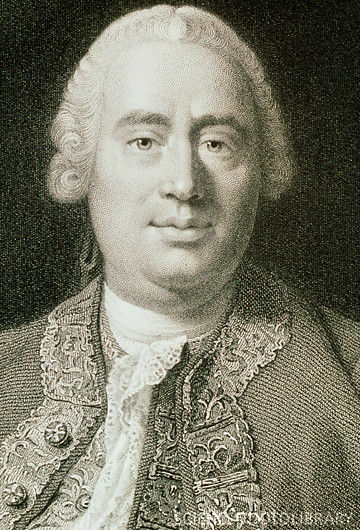 (1) We actually don't know that Hume was an atheist; in fact, all our definite evidence (it is scattered and vague) is that he considered himself a theist – there are Hume scholars who argue otherwise, but to do so they have to defend the view that Hume was lying in his scattered statements on the subject. But even if he did consider himself a theist, he certainly didn't think it had much to do with morality. (2) I think you're right that Hume's concern isn't so much justification of the ought as explanation of how it could be true. (3) I think the overall context is important here. Hume in this section is specifically talking about accounts of morality that ground it on reason (he has Samuel Clarke and Nicolas Malebranche in mind, although his reference to vulgar systems of philosophy suggests he thinks it is a very common problem). Hume's own preferred account of morality bases it on sentiment, and he obviously takes this account to avoid the is/ought problem. Whether he's right about that or not, I think it's worth keeping in mind when we try to interpret what Hume's argument originally was. (I think when we do we find that later interpretations, ignoring the context, often are making very different arguments than Hume was making. My own view, which I discuss briefly here, is that Hume is simply arguing that 'ought' or obligation isn't a relation.) But this might be getting off on sidetracks, if your primary interest is the Guillotine itself, whether or not it is Hume.